This ia page that I have wanted to do for a long time. 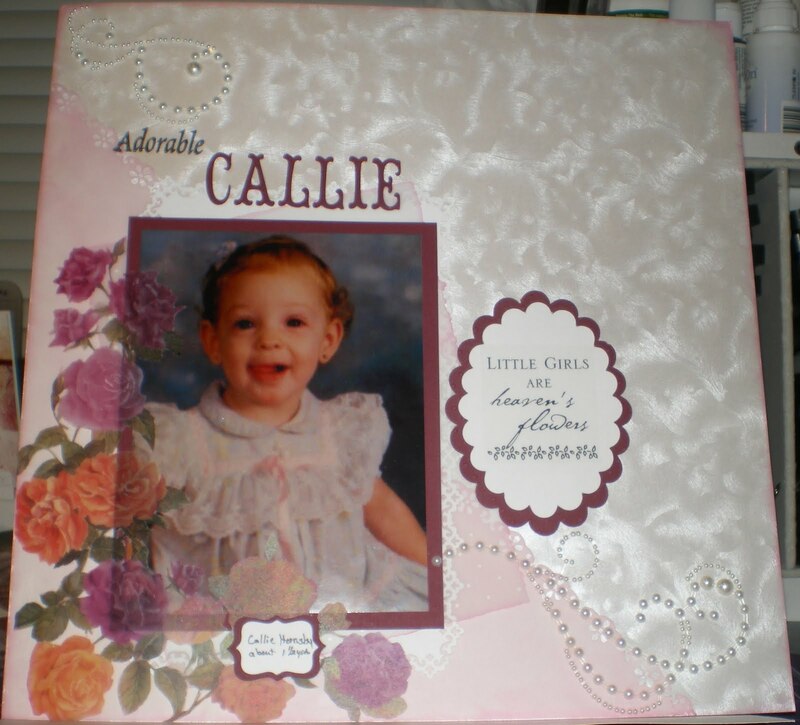 This is my Step-Daughter Callie when she was about 1 1/2 years of age. Wasn't she adorable! She is such a sweetie! awww soo cute. Lil girls are just adorable!!! What a beautiful pic and layout....just lovely Suzie...Hope your are beginning to feel better!! I thought I posted a comment - well, I will post again. This is very girl and very pretty. I don't know how old Callie is now, but I'm betting she loves this layout! So beautiful! I love the vellum flowers over the photos ~ gorgeous! :D She looks so pretty there & the layout matches her perfectly!